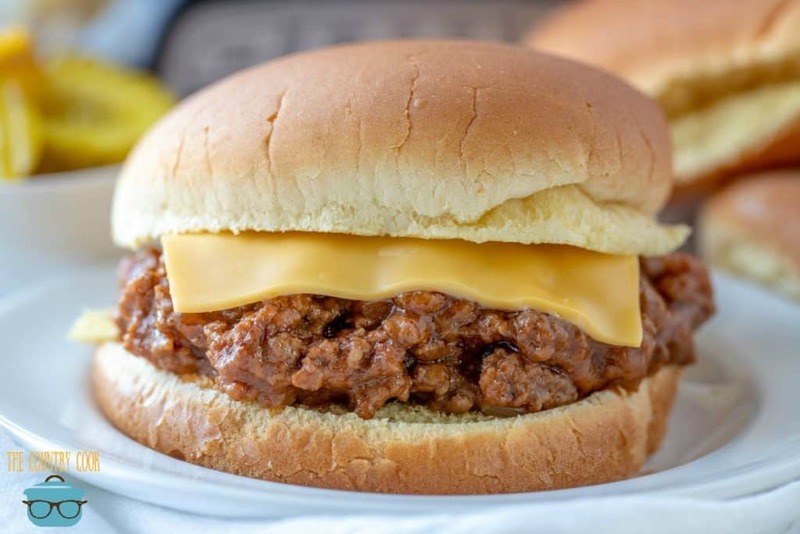 Skip the can with these homemade Crock Pot Sloppy Joes! 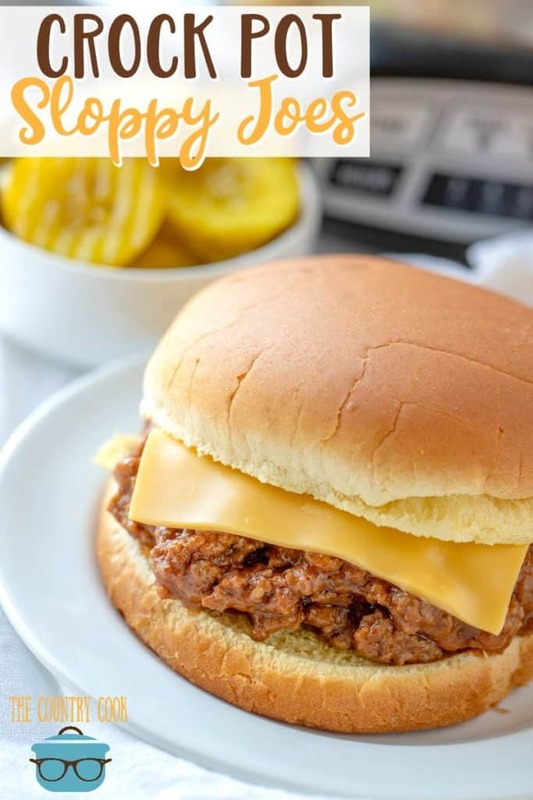 Ground beef, tomato sauce and delicious seasonings make these the easiest and best sloppy joes! Is there any food better than the food from our childhood? 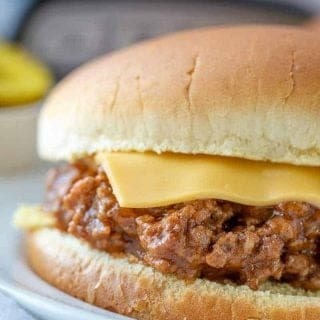 I bet all of us can name at least 5 foods that we ate as a kid that we will always love and remember. This is definitely one of them for me! 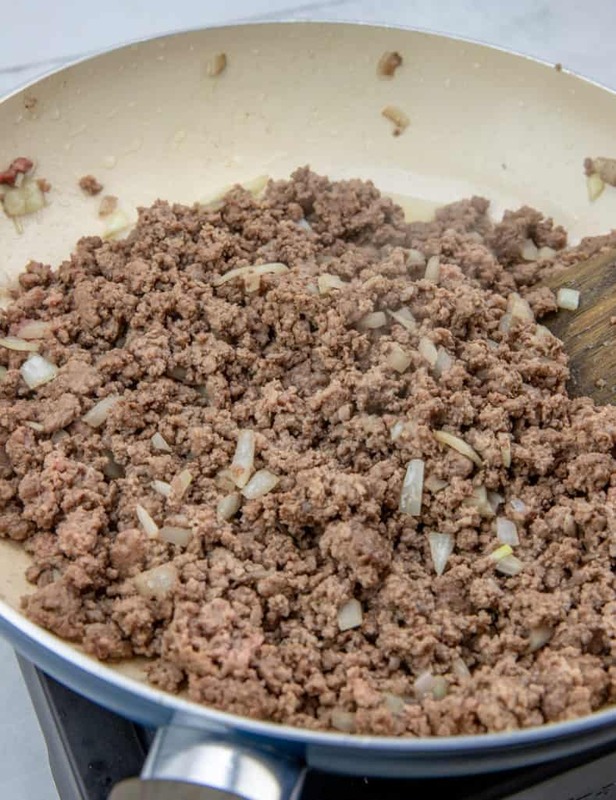 In a large pan, brown ground beef with chopped onion. Crumble and cook until no longer pink. Drain excess grease. Give it all a good stir. Cover and cook on low for about 4-6 hours. 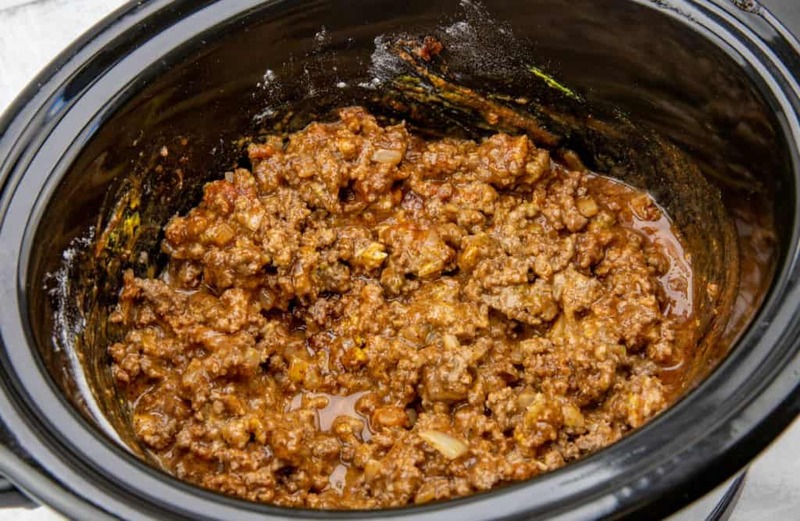 Cook’s Notes: To make this on the stove top, brown ground beef and onion in a large pot. Drain excess grease and return beef mixture to pot. Stir in the rest of the ingredients (omit the flour.) Bring mixture to a boil. Cover and reduce heat to medium low and allow it to simmer for about 30 minutes. 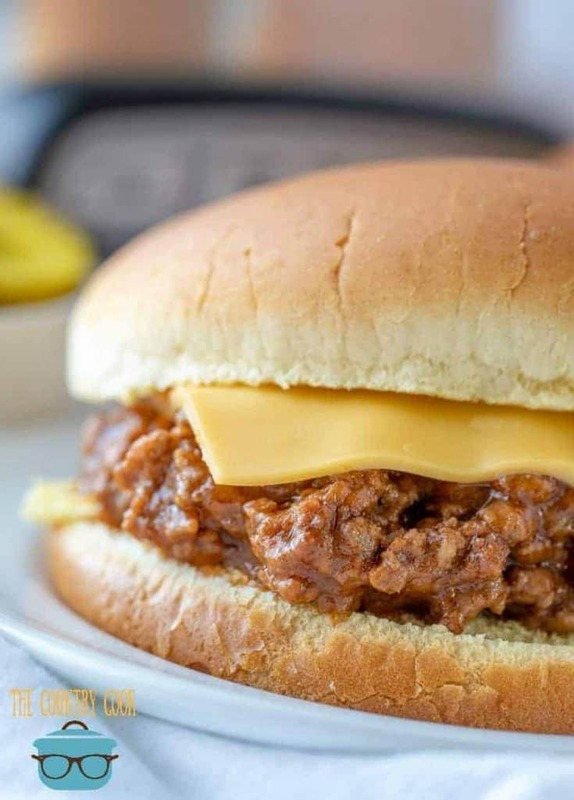 Skip the can with these homemade Crock Pot Sloppy Joes! 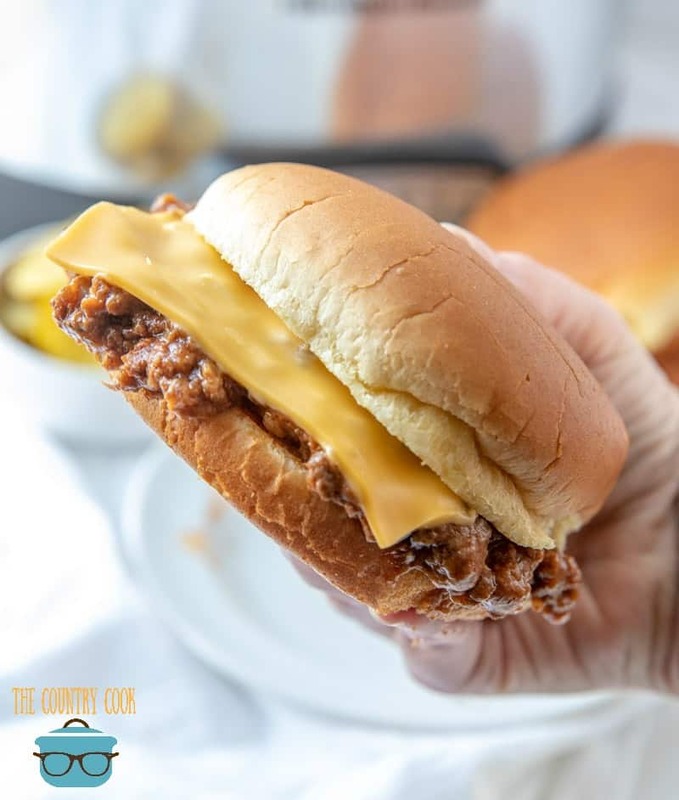 Ground beef, tomato sauce and delicious seasonings make these the easiest and best sloppy joes! 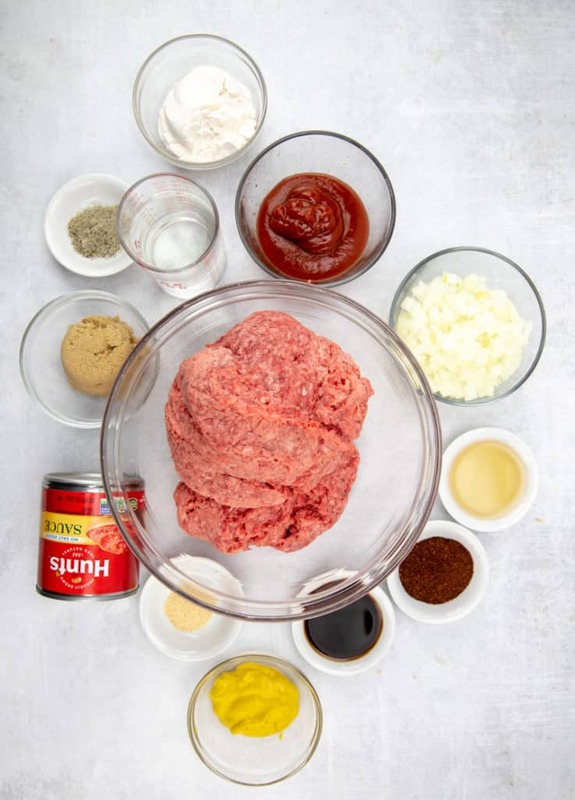 In a large pan, brown ground beef with chopped onion. Crumble and cook until no longer pink. 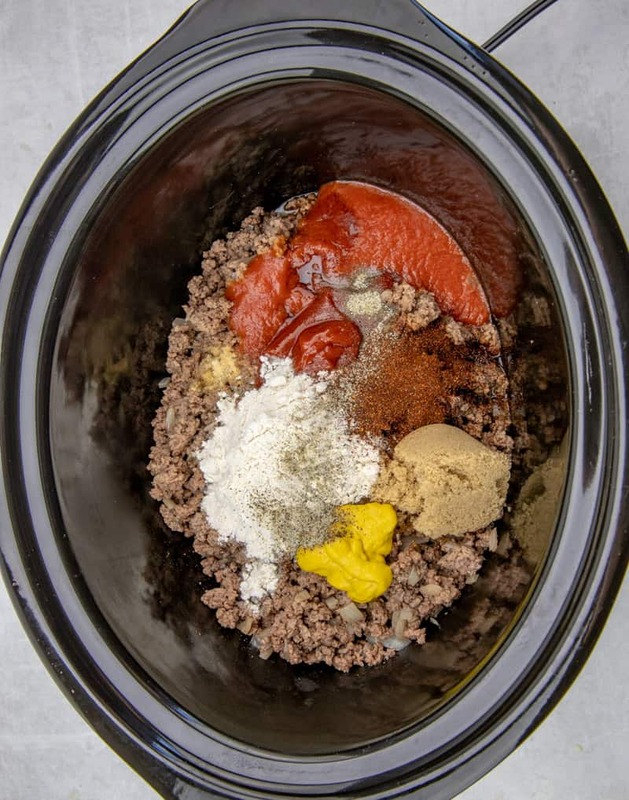 Put ground beef mixture into your slow cooker. When ready to serve, toast your hamburger buns. Add a slice of cheese to each. To make this on the stove top, brown ground beef and onion in a large pot. Drain excess grease and return beef mixture to pot. Stir in the rest of the ingredients (omit the flour). Bring mixture to a boil (over medium high heat) Cover, reduce heat to medium low and allow it to simmer for about 30 minutes. To Toast Buns- put a dab of butter in a cast iron skillet. Put the heat on medium. Then put in the buns and toast until golden brown. Love, love this recipe. So tasty, hearty, and easy! Love hearing that! Thanks so much Beth! My hubby will LOVE this. I’ll be using ground venison, which will make him love it even more. I do like the thought of using ground turkey or chicken option as well. Thanks for the recipe! Great website, by the way. I recently started getting your emails with the weekly meal plan and am enjoying them very much. Hi this sounds amazing. I plan on making tonight for just me and my husband. If I freeze the leftovers what would be the best way for me to preheat? I made the sauce and then realized it was for 2 lbs of ground beef instead of 1 lb (which I have). Can I keep the extra sauce in the fridge for awhile? Cider vinegar is listed as in ingredient. Is that apple cider vinegar? I just wanted to make sure.